Feld & Mendelson’s Venture Deals. Filled with rich content covering topics such as term sheets and how to raise money, this is a fabulous resource for both investors and entrepreneurs. David Rose’s Angel Investing – The Gust Guide to Making Money & Having Fun Investing in Startups. This book is one of the most comprehensive guides to angel investing I have read incorporating a wealth of knowledge from David’s incredible history of investing in this space. Brian Cohen’s What Every Angel Investor Wants You To Know. This is a fun read filled with both advice and anecdotes from the Chair of New York Angels for both the investor and the entrepreneur seeking early stage funding. Alex Wilmerding’s Term Sheets and Valuations. For those of you who want to understand the intricacies of Term Sheets, this a resource and that I recommend to all investors who take my courses at Golden Seeds. Basil Peter’s Early Exits. This book covers many topics relevant to the exit process such as exit strategy and investor/entrepreneur alignment. Richard Lambert’s Financial Literacy for Managers. Although geared more towards public company financial analysis, this resource from Wharton Professor Richard Lambert discusses many of the concepts such as benchmarking, DCF analysis and cost analysis which are important to a startup’s financial health. Clearly, there are many other great publications out there, these are some of my picks. Mark Suster’s Both Sides of the Table. Golden Seeds Knowledge Institute: Golden Seeds developed a series of investor training modules to help our members understand the basics of angel investing. Several of these modules are open to guests. Angel Capital Association: through it’s Knowledge Center provides a variety of seminars and workshops on various topics. First Round Capital runs a program Angel Track – a Masterclass for Emerging Angels. In addition, for women investors 37 Angels Bootcamp and Pipeline Angels have angel investor training programs. Please use the comment section to add Books, Blogs or Bootcamps to the list! Achieving cash flow “break-even” which allows the company to have some measure of control over their financial destiny? An inflection point of milestones/traction that will position the company to raise another round of funding at more attractive valuation levels? Landing in the “dead zone” – not enough traction to attract the next round of funding and without further funding in need of cutting expenses. If the current raise enables the company to generate enough recurring revenue to operate on a break-even basis, then the company can continue as an operating entity without having to lay-off staff, reduce marketing outlays or frankly shut the doors and cease operation. The company needs to have a clear understanding of their variable versus fixed costs – what expenditures are mandatory to allow the company to survive versus those that can be reduced or even eliminated for a period of time. Growth may be slower than desired, but may at least provide the company the time to pivot their strategy or hold out for a more attractive funding environment. For most of the companies in which I am investing, there will be multiple rounds of financing required before the company is in a position to exit. It is critical to understand what are the milestones/traction that the next investor will require and how does the company plan to achieve these milestones within the runway provided by the current raise? On the expense side, does the company have a strong grasp of the resources required to execute on the plan? Do the assumptions for revenue recognition take into account a realistic sales cycle for the product/service being offered? Unfortunately, many companies end up in this position either because they do not raise sufficient capital or do not have the ability to actually execute on the plan that would position them to be attractive to the next investor. I find this oftentimes with companies that utilize convertible notes and end up within sight of the maturity date without enough demonstrated progress. As an investor, I am usually faced with the decision to extend my note, invest more in the company to provide some life support, or hope that there is at least some asset value to be distributed to note holders in the event of liquidation. Take a critical look back at portfolio companies that didn’t make it and try to ascertain what really went wrong. There are many ways to “put your money where your mouth is” and make a change in the funding gap by investing in women entrepreneurs. Whether or not you are an accredited investor, you can participate in non-equity funding opportunities through platforms such as Kickstarter. I have used this platform to fund some incredible women such as the DreamGirl Team who recently produced a documentary film on women entrepreneurs and the VidCode Team teaching girls to code. As an angel investor, I am active member of both Golden Seeds and New York Angels, early stage investment groups where members share their expertise to evaluate and co-invest in exciting young companies. There are many Angel Groups across the country – a great resource for finding angel investment groups is the Angel Capital Association. For the past four years, I have been the Lead Instructor of the Golden Seeds Knowledge Institute. Our mission is to empower our members though education. We focus on everything from a basic understanding of the investment process to best practices for serving on a start-up board. In addition, I have served as a mentor to Pipeline Angels, which is committed to helping more women become angel investors. For some additional educational resources, here is a LINK to a previous post on this topic. There has been a lot of progress in women joining the partnership ranks of VC firms. Here is a LINK to a list of several of those firms. My current investment strategy includes investing directly in new funds started by women. One such recent investment is Lattice Ventures, a network-driven VC firm based in NYC, founded by two dynamic young women. I plan to continue using the power of both prose and purse to try and effect change in the funding landscape for women. In order to change the ratio, we need the continuing support of our male colleagues in the investment community. There are many men in both the angel and VC community who have been strong supporters of women. I personally want to thank my colleagues at Golden Seeds, especially @robdelman, my office mate and fellow Knowledge Institute Instructor. Thank you also to @brianscohen and all of my male colleagues at New York Angels for making me feel welcome from day one. A big shout out to Ed Zimmerman at Lowenstein Sandler for being a great advocate for women entrepreneurs and whose gender pledge has helped to increase female representation on tech panels. To Mark Suster, entrepreneur and VC, whose Blog helped keep me sane over the past year and whose voice has been such an incredible champion for women. I hope I have the chance to meet you some day. Thanks @adamquinton for your support of both women investors and entrepreneurs. This is in no way an exhaustive list, so please feel free to add #MenWhoInvestInWomen to the comment section below! Finally, a very special thanks to my grandfather, Henry J. McCue, who encouraged me to dream big and whose financial support enabled me to attend Wellesley College, a bootcamp for female empowerment and leadership. I consider him my first Angel Investor and know that with each check I write to fund a female entrepreneur or invest in a female VC, he is leading a cheering section up in heaven complete with high fives and chants of “You Go Girl”! 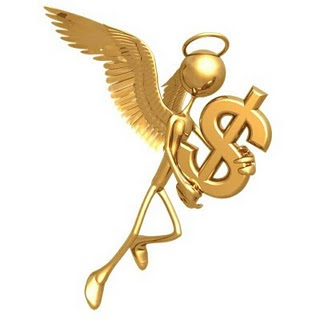 Angel Investing -After the Check…. So you just wrote the check! Now what? There is a perception out there that angel investors and venture capitalists are only focused on monetary gain and don’t work to support the success of their companies post-investment. Angels are making investments with the hope of a successful exit and unfortunately the statistics on the failure of startups are quite sobering. According to Shikhar Ghosh, a senior lecturer at Harvard Business School, the failure rate of startups is 30-40%. ( Source: HBS Working Knowledge Article by Carmen Nobel). But in addition to the potential investment returns, angel investing provides a unique platform for engaging with the companies in your portfolio, which is not the case when investing in the public markets.